Around midday today, while driving into Hammonasset Beach State Park for some beaching, I noticed a large black-and-white shorebird flying well ahead of me over the rotary, heading west. 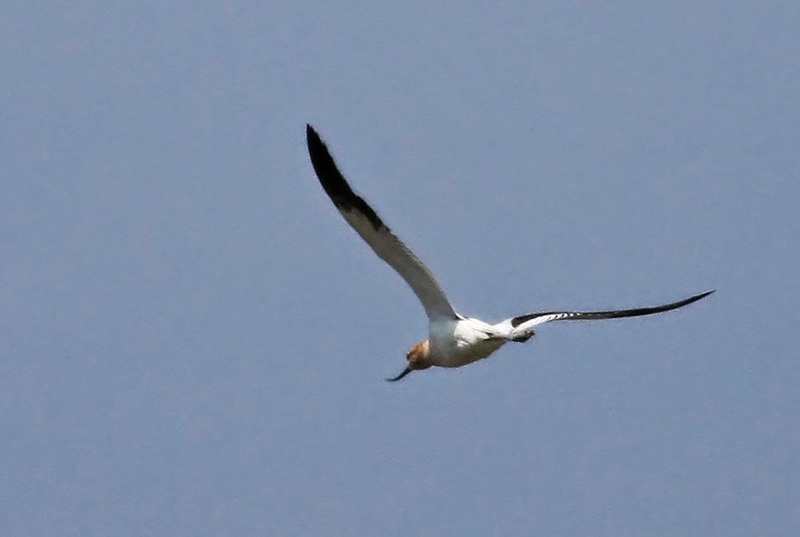 I caught up to the bird, an alternate plumaged AMERICAN AVOCET, as it descended over the Swan Pond. Unfortunately it chose not to land on the edge of the pond, instead flying west and out of the park. I was able to grab one record photo as it was flying away. Perhaps it will turn up somewhere down the Connecticut coast? ?